On a beautiful Spring evening, I sat on the inviting patio of Brio Tuscan Grille. The patio buzzed with laughter and enjoyment amid the lovely Winter Park Village. As the sun began to set and evening crept in, I delighted in the new menu offerings while chatting with Chef Kirk Wright. 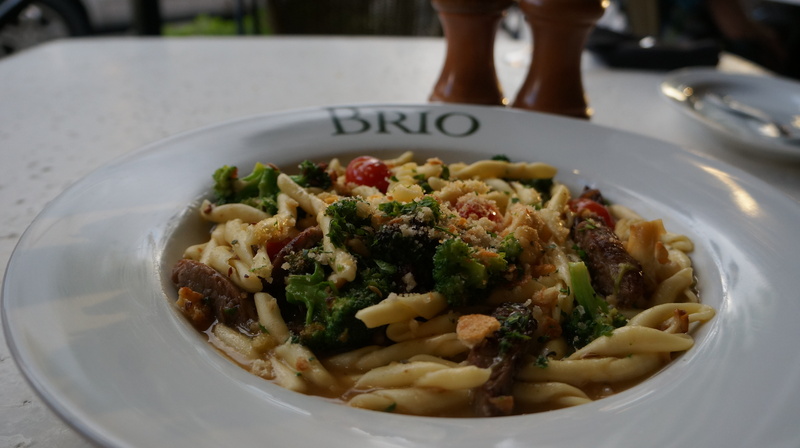 I had been invited to visit Brio to sample some of the highlights on their new menu. 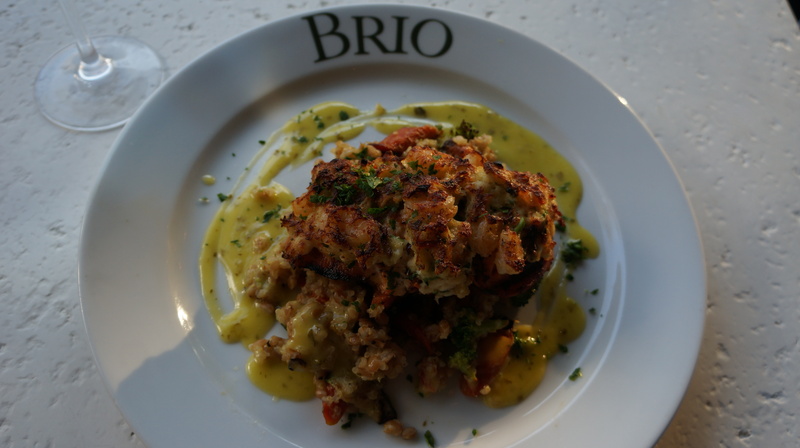 My husband and I enjoy occasional visits to Winter Park Village and find it impossible to miss popping into Brio for some of their delicious food and cocktails, so I was excited to see what was new. Winter Park Village is a great destination for shopping and dining for both Orlando visitors and residents, especially when the weather is nice. 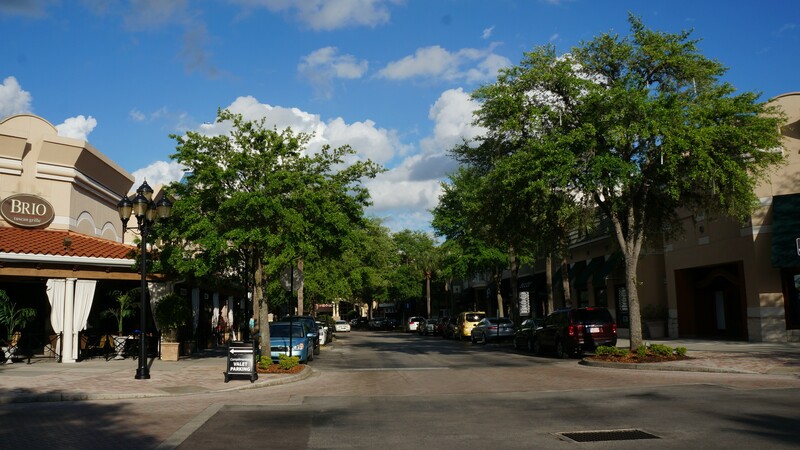 Located off of Mills / Highway 17-92 in Winter Park, the Winter Park Village is easy to get to and a great way to spend some time strolling through the shops, enjoying a nice meal, or perhaps catching a movie. 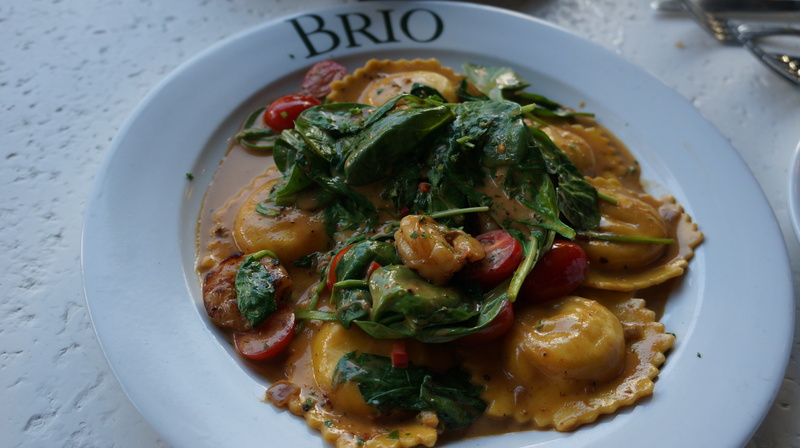 Brio Tuscan Grille is perched on the corner with a large, welcoming, wrap-around patio and clean, crisp dining room. When we think of corporate chain restaurants it’s easy to picture mass-produced food that lacks soul and character. There are few chain restaurants that I hold in my collection of favorites. However, Brio is the exception to the prep-packaged, re-heat world that is often found in the big chains. The food is fresh, complex, and in many cases risky. Oftentimes, chain restaurants will produce easy to prepare dishes in order to safely deliver a consistent product. 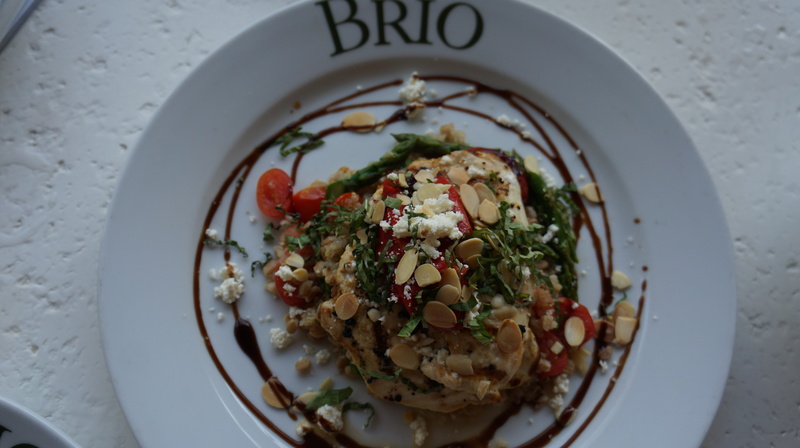 Brio, on the other hand, is not afraid to offer more complex dishes for the sake of delicious food. I could not have been more delighted to not only have the company of Chef Wright, but indulge in his expertise as he selected the items of which he is most proud. There are lots of great choices for appetizers. Sausage and Onion Jam Pizza – This pizza is the perfect mix of sweet and savory. The Boursin and Mozzarella cheese add just enough creaminess. The traditional Italian sausage has a hint of spice. The onion jam is sweet and the topping of arugula is dressed with a little lemon juice to add some brightness. I would definitely recommend starting with this. 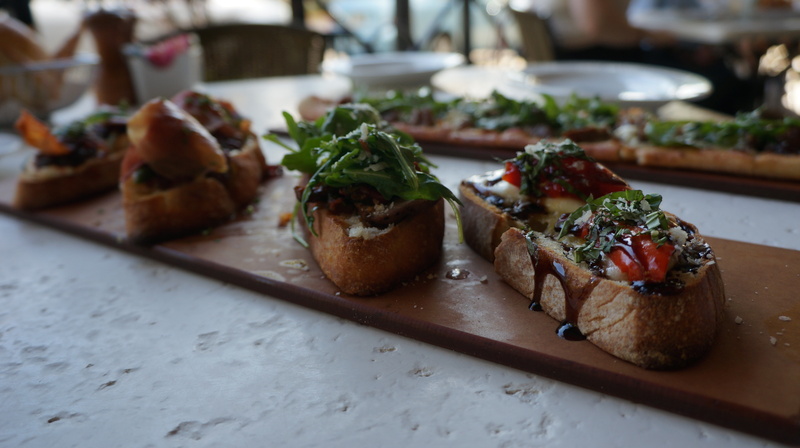 Bruschetta Quattro – Absolutely perfect for sharing! 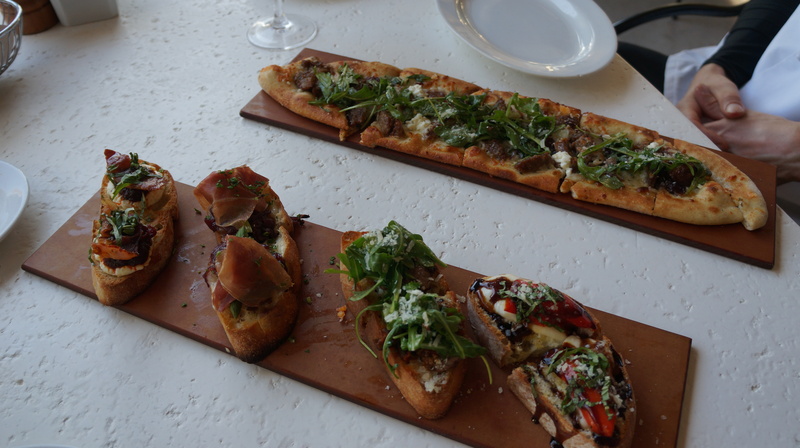 This is a great choice as you get to try four different bruschettas. My two favorites were the Sliced Steak and the Applewood Bacon & Tomato Jam. There are seven salads (yay!) 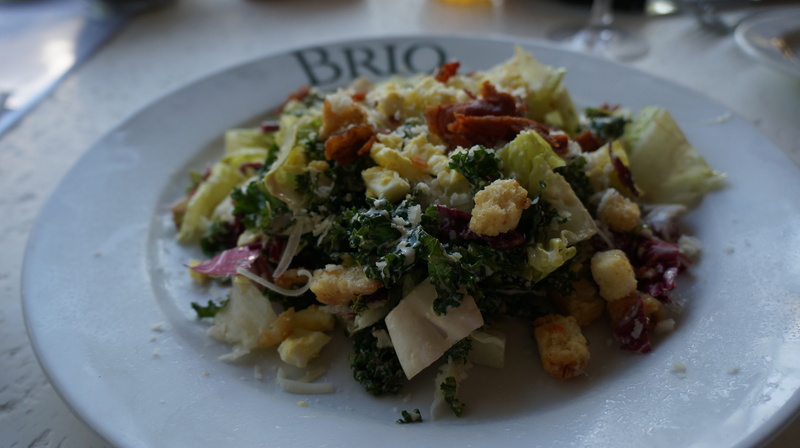 on Brio’s menu, three of which are entree salads. Kale Caesar – The Kale Cesar salad is crisp, colorful, and filling! The generous combination of romaine, radicchio, kale, pancetta, tomatoes, and egg is a bountiful mix. Croutons and Caesar finish off this great salad. I have to admit, exploring this portion of the menu was a treat for me as I usually steer clear of carb heavy pastas. Both dishes I tried from this portion of the menu were worth the indulgences. Lobster & Shrimp Ravioli – A surprisingly spicy, Cajun twist made with sweet, succulent lobster and shrimp. I enjoyed this alternative and the addition of blanched spinach and grape tomatoes brighten up the plate. Sausage & Roasted Tomato Pasta – The noodles are medium length and rolled, allowing the flavors to seep in. I loved the crisp, sauteed veggies like cauliflower and broccoli. The Italian sausage is perfectly seasoned and even had some slight caramelization. My favorite dishes of the evening reside in this section of the menu. This is also a very protein heavy portion of the menu, so if you are concerned with too many carbs, you may want to give the Grilled Specialties are good hard browse. Tuscan Grilled Pork Chops – I am not ashamed to say this was a surprise hit for me. I am not usually drawn to pork chops when dining out, and often find disappointment whenever I do order them. 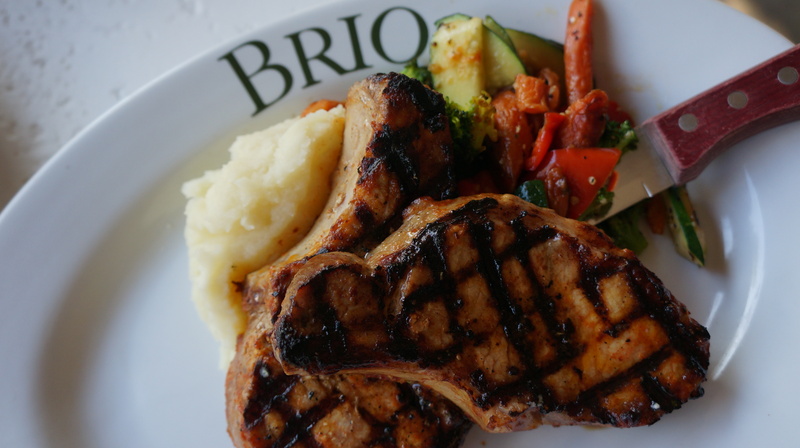 However, thanks to the amount of love and energy that goes into preparing them, Brio’s Grilled Pork Chops are incredibly tender, juicy, and flavorful. I brought some home to my husband and he devoured them like a true carnivore. Crab & Shrimp Crusted Salmon – Bright, sweet, tangy, and sumptuous, I was not surprised when Chef Wright told me that this dish is a huge hit from the new menu. Salmon is topped with a delectable crab and shrimp topping, that’s right, three seafood proteins in one dish! The roasted vegetables, faro, and quinoa that accompany the fish are a perfect match and I couldn’t get enough of the lemon vinaigrette. I will definitely be back for this beauty! Grilled Chicken & Roasted Balsamic Peppers – this dish is one of the lighter offerings and it is another one of my favorites. The chicken was perfectly grilled and still juicy. The quinoa and vegetables are a satisfying, healthy pairing and this generous dish is only 480 calories! This dish is enough reason for me to make a return visit. 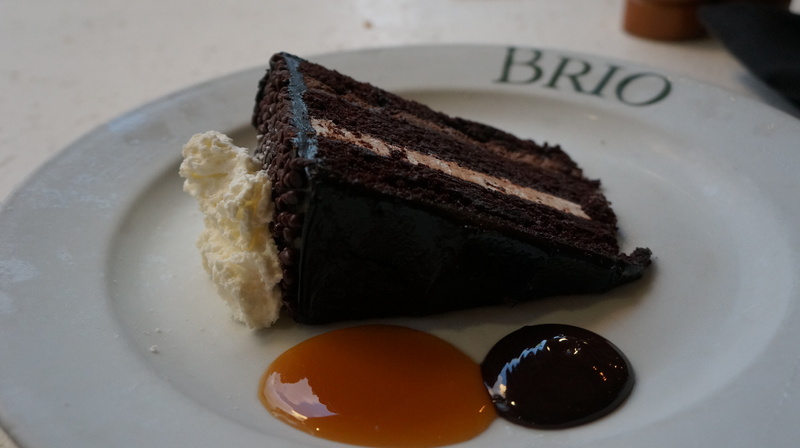 I learned that desserts are done a little differently at each Brio location, but some of the regularly featured desserts include Brio Cheesecake and Tiramisu. I tried the Chocolate Layer Cake, which is also a regular dessert. Dense, thick, and rich it is a great option for sharing. 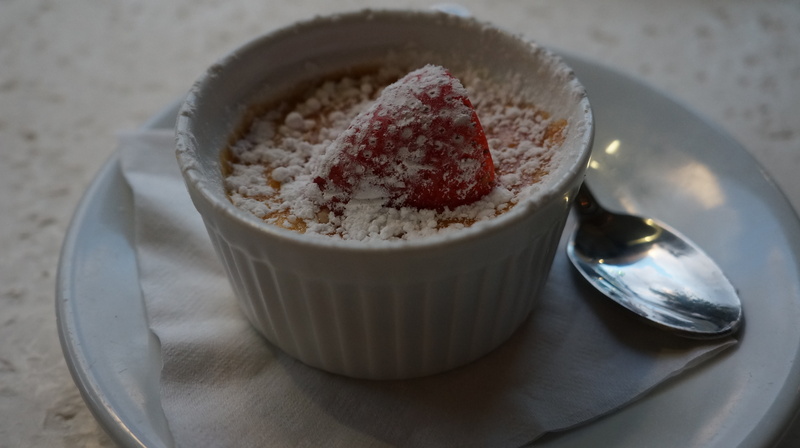 I also tried Creme Brulee which I was delighted to find had a more delicate layer of crystallized sugar than the thick brick that is often found at restaurants. One of the specialties of the Winter Park Village location is bread pudding. 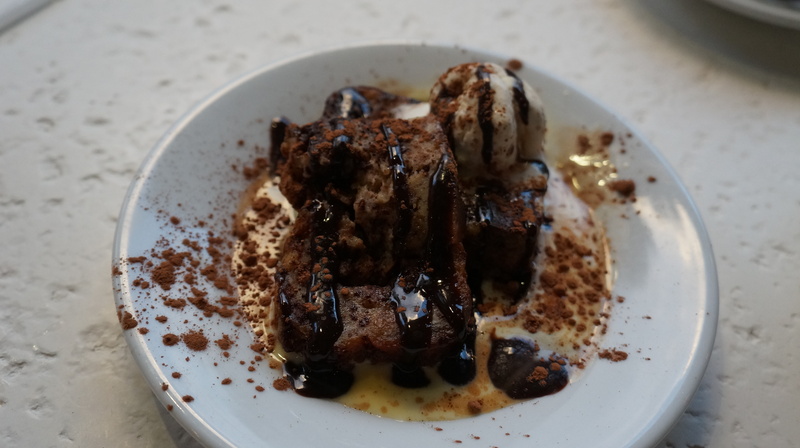 Normally I am not too big on bread pudding, but the Chocolate Chip Bread Pudding I was offered was pretty incredible! It was moist and had a good amount of chocolate chips, reminding me of an indulgent gourmet chocolate chip cookie. A scoop of melty vanilla gelato made this little plate heavenly. Overall, I think everyone at Brio Tuscan Grille can be very proud of their new menu. 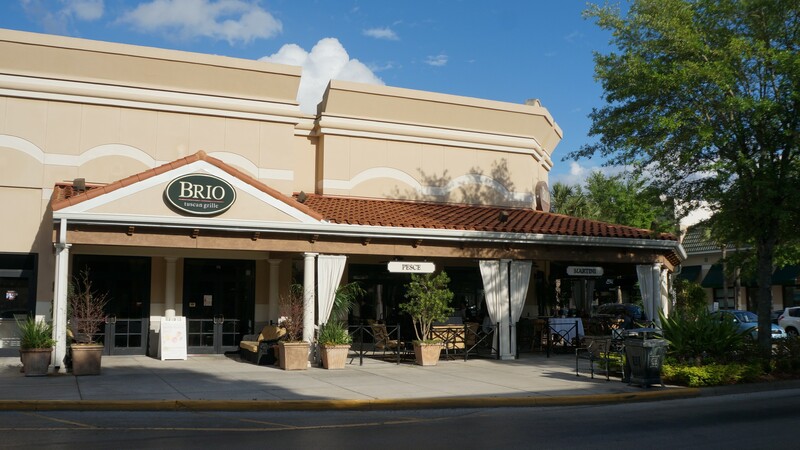 While Brio can be found throughout the country, I personally believe the Winter Park Village location is one of the best. I look forward to visiting again, especially to dig in to the Light Menu! If you’re headed to Winter Park Village, enjoy a nice stroll, stop in food a bite and make the most of this great shopping and dining plaza.